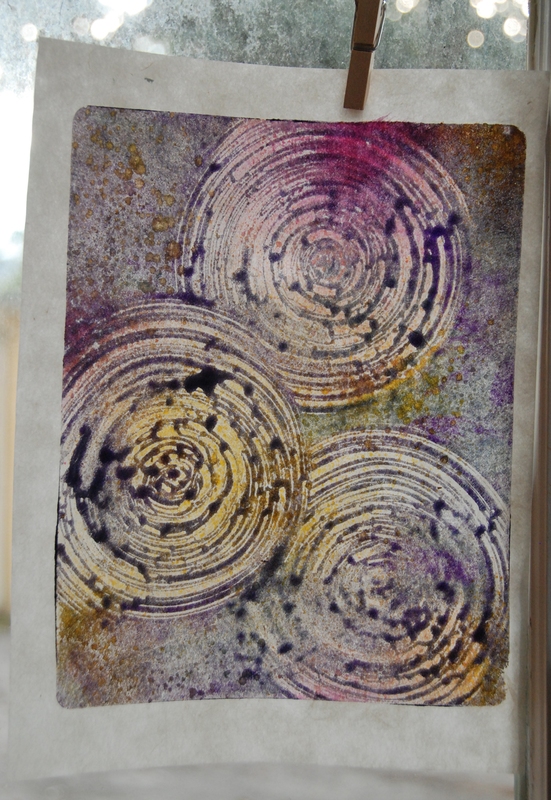 Went a bit mad with the Gelli Arts gel printing plate. SO MUCH FUN! 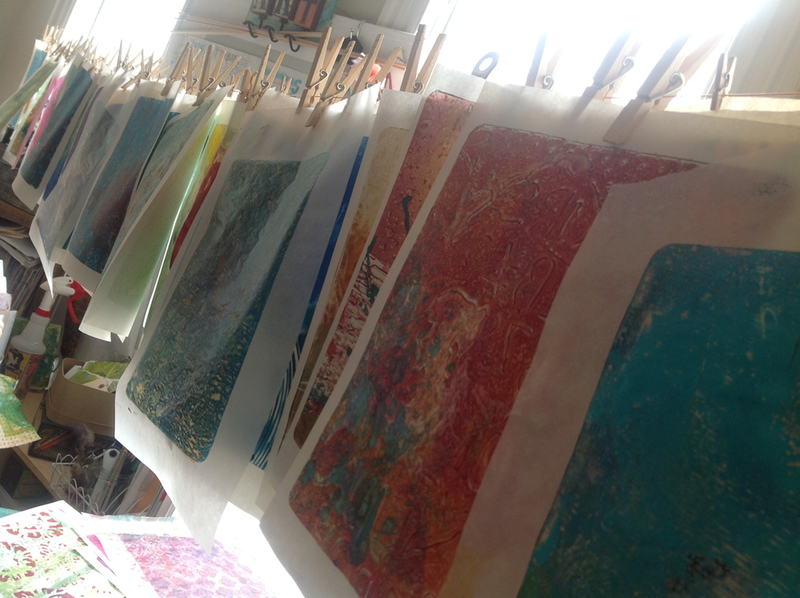 It all started with the Art of Gelli Prints how-to video from Donna Downey. Many thanks to Donna for a fun video packed with information and inspiration! I was eager to give monoprinting a try and besides, any excuse for new art supplies. I gathered supplies recommended by Donna and Gelli Arts. Other supplies crawled out of my own stash to join the party. My favorite twist on the art supply list was unbleached mulberry paper from Speedball. When the mulberry ran out I used some parchment-y paper. I was loving the glow. By the time I ran out of clothespins the glow was dimmed by overlapping pages. I found the light again to take photos of my favorites. So many pretty pages. Not exactly sure what I'll do with them but I'll think of something soon and make room for more.